Organizations ADAPT and PACT are calling for action regarding the recruitment and retaining of community attendants. 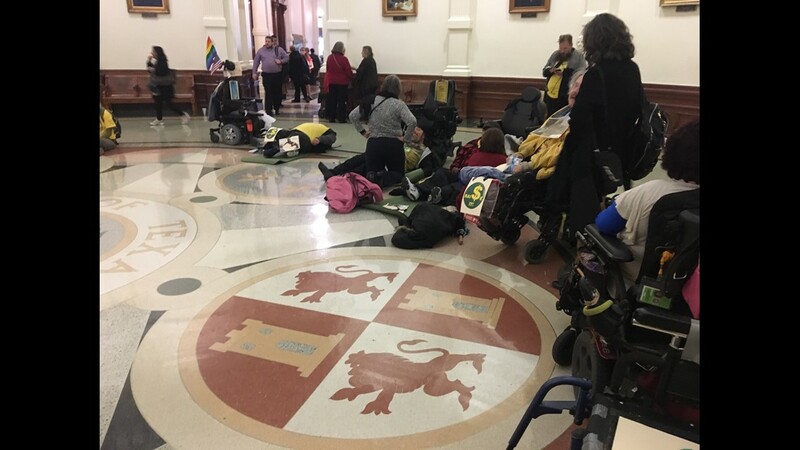 AUSTIN, Texas — Two disability rights groups held a protest on the floor of the Capitol Rotunda Tuesday, calling for action from state lawmakers regarding the recruitment and retaining of the people they rely on for day-to-day life – community attendants. 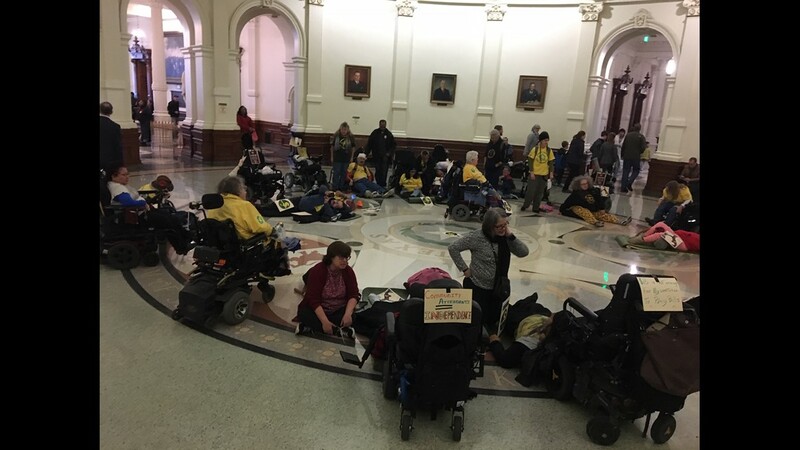 The groups ADAPT and the Personal Attendant Coalition of Texas (PACT) said people with disabilities depend on community attendants to live independently in the community. However, they said they are finding it hard to recruit and retain community attendants at the wage of $8 an hour, the current base wage. Event organizers said they are currently facing a crisis due to a growing shortage of direct care workers, who perform basic assistance with daily tasks such as helping their clients get dressed, use the restroom, bathe and eat. Without this assistance, they said people with disabilities cannot function nor live independently. As a result, they are forced to pay for costlier institutional assistance. 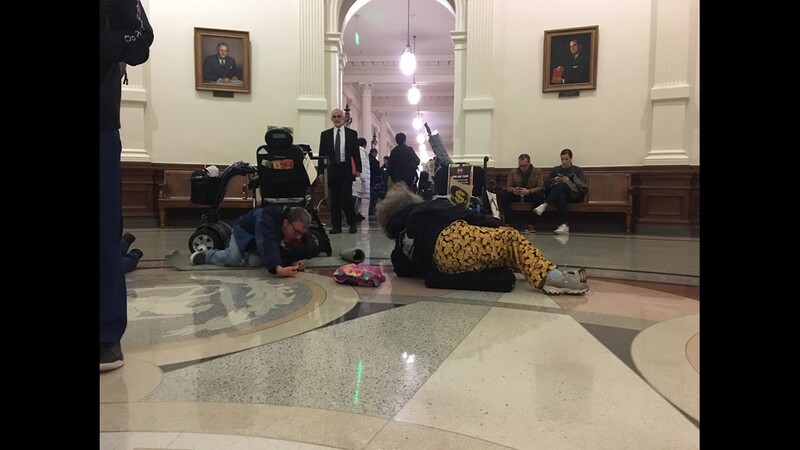 ADAPT and PACT said they are finding that people with disabilities are more frequently having to sleep in their wheelchairs or spend long stretches in bed because they do not have anyone to assist them. As a result, they face health complications like pressure sores, or are forced into nursing homes and rehab hospitals, alternatives they said are "exponentially" more expensive than providing the services they needed in the community in the first place. 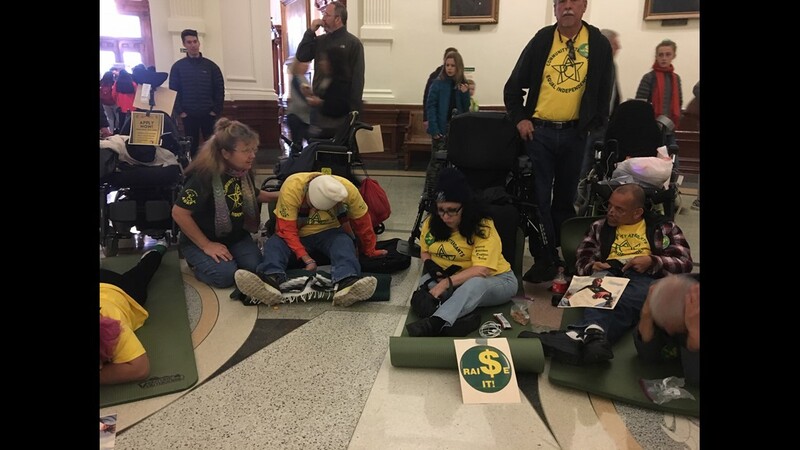 On Monday, protesters were seen on the floor of the Capitol Rotunda lying on the ground or in their wheelchairs.